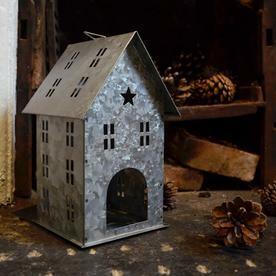 A delightful zinc tealight holder, in the shape of a little house. 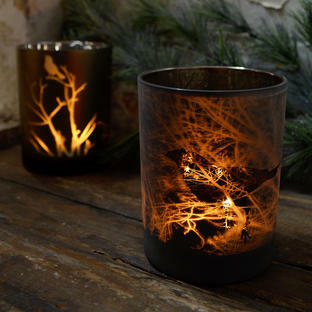 A charming way to light a candle, and give a warm cosy glow on dark, wintery nights. 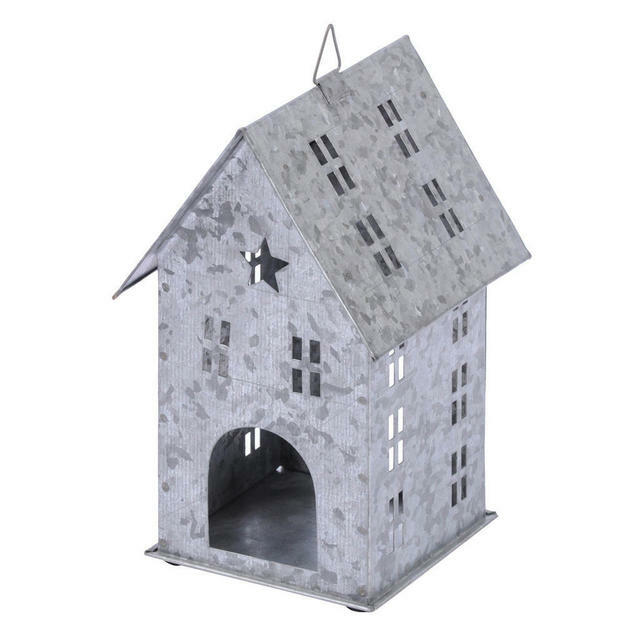 Pop a large tea light, or a small candle, into the little house, and see the flame flicker and shimmer through its windows and doors. 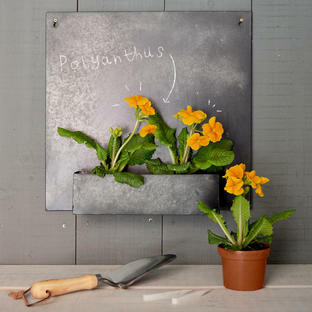 Hang on a bare branch, or use on a table, as part of a table arrangement. 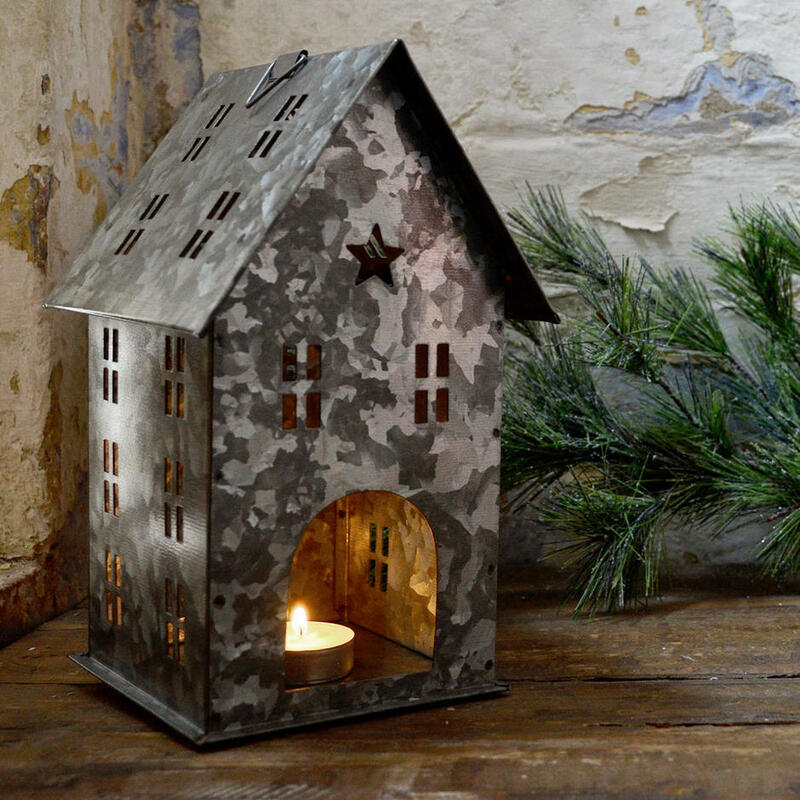 Try a large tealight in the zinc house, see here for details. 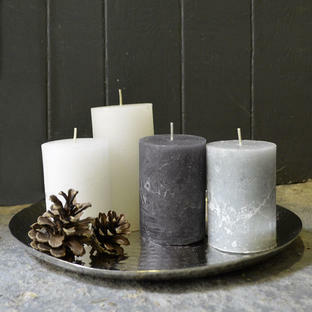 As with all candle holders, never leave lit candles unattended. Made from zinc metal, rustic detailing.